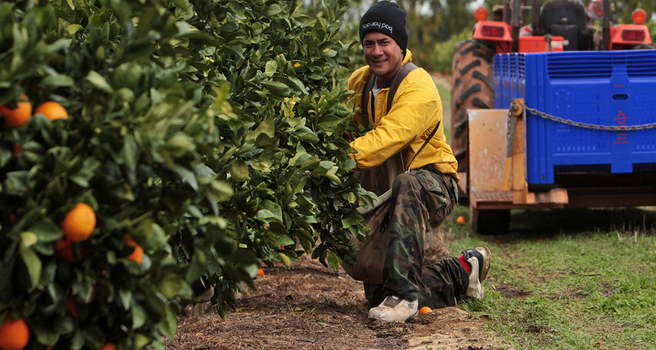 The WA citrus season has kicked off and the third commercial harvest has just begun at Moora Citrus, one of WA’s biggest citrus plantations 200km north of Perth. A significant volume of mandarins and other citrus will be picked across the orchard by the time harvesting of all trees ends in November. Since planning began in the late 1990s and planting started in 2005, the orchard has developed through strategic and staged development phases and now has a total of 170,100 trees. Covering 212ha, the orchard consists of three varieties of mandarins, seven varieties of Navel oranges and one seedless Midknight orange. The diversity of citrus varieties enables fruit to be picked a maximum number of months in the year, generally from May to November. Article source: The West. Click here to read full article.